Hello! I am excited to say that Diamonds & Light, my new collection (that you may have noticed me harping on about for quite some time) is now available in the online store! This is a collection that means a lot to me because of the inspiration behind it and what it stands for, this collection truly is a piece of me. I am excited to walk you through the first release of designs and would love to hear your feedback. Diamonds & Light is a collection with femininity at its core, not the cookie cutter type forced upon us by much of social media but of the femininity of real women, celebrating our strength and our ability to be soft and tender even when we are at our fiercest. This collection features recycled silver and recycled 9ct gold polished to a soft satin finish adorned with conflict free black and grey diamonds, the diamonds are uncut showing their sparkle even in their most natural, untouched form. 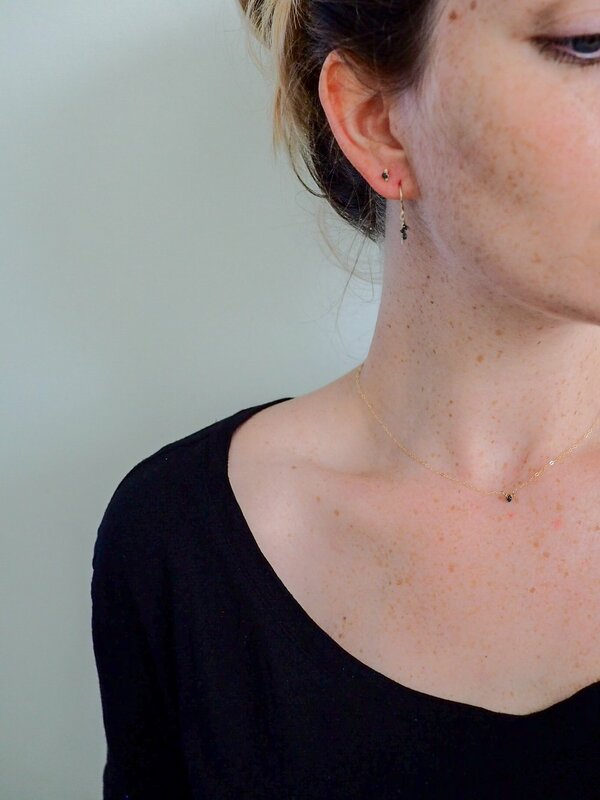 You may be familiar with my stud sets, recently they became available in 9ct gold. 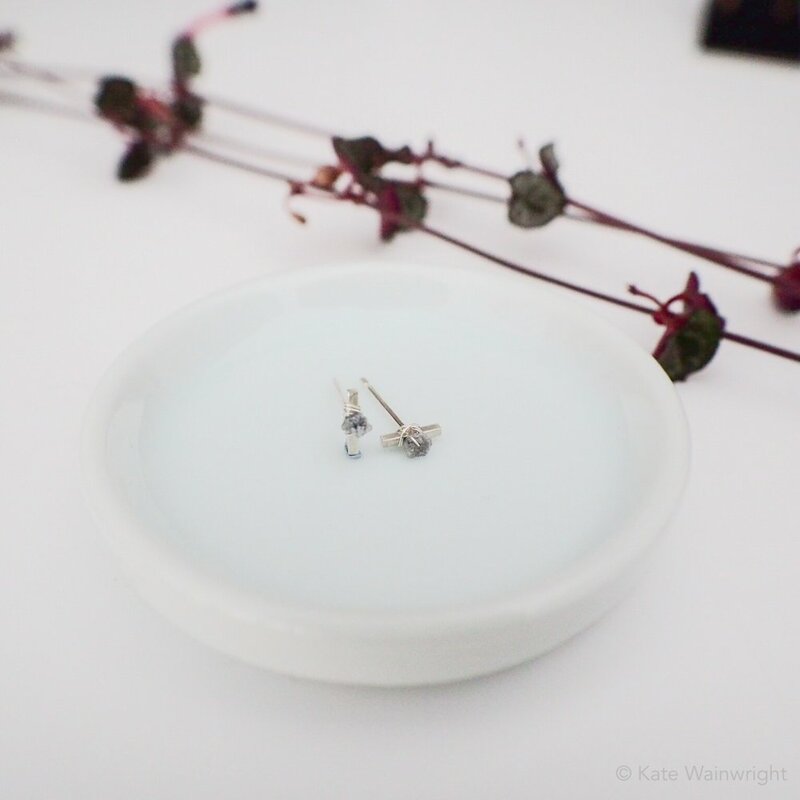 These have been such a popular design in both silver and gold and I hope they will be just as well received in their new design featuring their own diamonds. 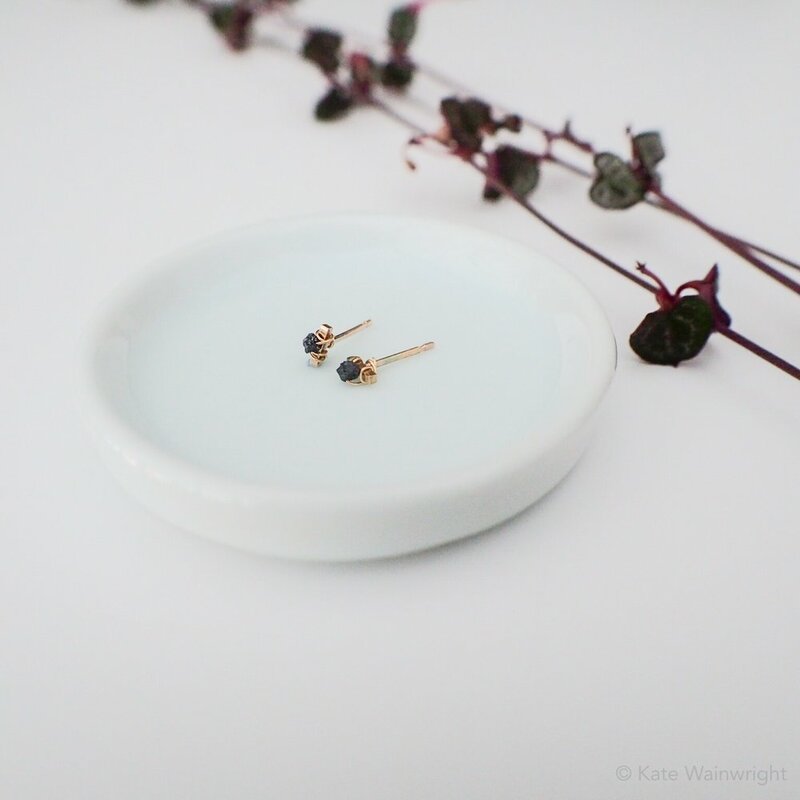 Accompanying the two sizes of studs are the gold drop earrings featuring jet black uncut diamonds, these will be soon available in silver as well, perfect for summer weddings and those upcoming chrisms parties. Finally are two simple but stunning styles of necklace, my personal favourite piece from the whole collection is the tiny gold necklace, this is small but mighty with the gold really allowing the raw black diamond to sparkle. For the die-hard silver lovers the slightly larger silver version is equally as show stopping. Both designs will be available in each colourway in the near future. Click here to shop the collection and if you missed the post about the inspiration behind Diamonds & Light you can read it here. Thank you for stopping by to read this and I hope you are having a lovely bank holiday wherever you are!